When you insure your house or other building, and it is damaged in a fire or any other event such as an earthquake, your insurance company usually has a number of options. 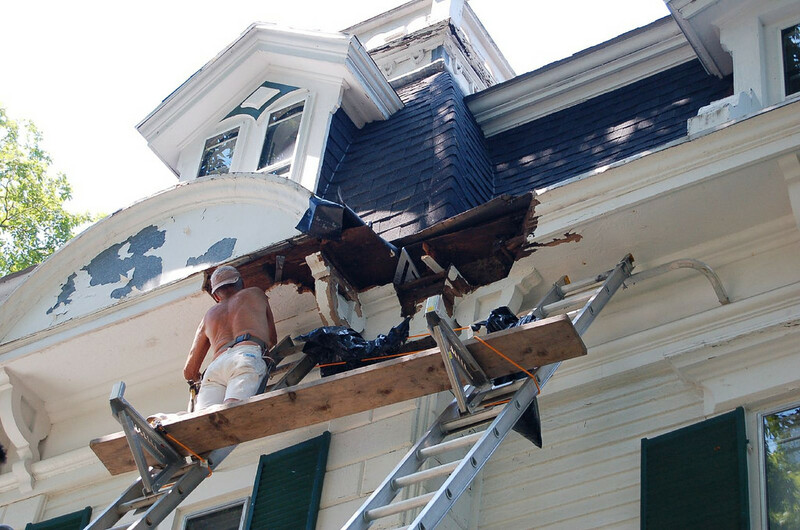 It can either pay you the cash value of the repairs or replacement of the building, or it can choose to actually repair it. Following the Canterbury earthquakes, insurance companies typically arranged for an insurance assessor to inspect the house, and for various other consultants to provide reports and scopes identifying what repairs were necessary. Typically, most insurance companies then identified a builder or choice of builders from its approved panel, and those builders gave estimates or quotes for the work. When the successful builder was identified, the insurance company would then arrange for its customer to sign a contract. Many such customers were simply told “here, sign this so that your house can be repaired”. What they were actually doing was signing a detailed building contract between the customer and the builder in which the customer effectively contracted with the builder to carry out the repairs. However, unlike most non-insurance building jobs, the insurance company’s customer had little or no control over the build. This was supervised, inspected and signed off by the insurance company’s representatives and the builder was paid direct by the insurance company. Little or no documentation passed between the builder and the insurance company’s customer and in many cases the insurance company’s customer did not even know how much the insurance company spent on the repairs. And so it should be, when the insurance company is repairing the house itself. It does not actually matter what the repairs cost, all that matters is whether the insurance company has met its obligations under the policy. Now that many of these repair jobs are proving to be grossly inadequate and/or botched, some insurance companies are trying to dodge the bullet. They are pulling out and dusting off the “building contract” that they insisted their customer sign “so that the repairs could be completed”. They are then telling the customer “well, you contracted directly with the builder, so it’s not our problem – go sue the builder”. In many but not all cases, the building company has either gone broke or ceased business. But the insurance companies don’t seem to mind. They are more than happy having assessed, scoped, quantified, supervised and paid for all the repairs with little or no involvement of their customer, they are happy to now hang the customer out to dry and leave the poor customer with a botched repair to claim against the builder that they did not choose, supervise or pay for a job that the insurance company scoped, approved and supervised. And when the customer sues the insurance company to force the insurance company to repair the botched job, the insurance company says “no don’t sue us, sue the builder” or “can you sue the builder the well”. Of course, the customer has a major problem. The customer had next to no day-to-day dealings with the builder, has very little documentation - all that being passed between the builder and the insurance company - and even if the customer wanted to, it could not prepare court documents against the builder. Never mind, the insurance companies then apply to the courts for an order to force their customer to sue the contractors such as electricians, and even the local council. Instead of accepting responsibility for having not delivered what it promised under the contract, the insurance companies try to pass the buck to the building company and leave their customers high and dry. Recently, IAG made such an application. In the judgment of Robin v IAG New Zealand Limited, IAG (the owner of State, NZI, Lumley and AMI) made an application to the Court to try to force Ms Robin to sue a number of subcontractors, the project manager appointed by IAG and even the Christchurch City Council. Ms Robin did not think she should have to sue all these parties. The contract was between the homeowner (she had purchased the house after it was repaired) and IAG. What concern of hers was it that the builders retained, scoped, supervised and paid for by IAG and contracting with IAG’s builder had botched the repairs, let alone the council. Recently the High Court in Christchurch agreed with Ms Robin. In the judgment, the Court rejected IAG’s attempt to pass the buck and declined IAG’s application to force Ms Robin to sue all these subcontractors, project managers and the Christchurch City Council. The proper course of events is for IAG or other defendants in the proceedings to join these parties. When someone buys an insurance policy, they are contracting with an insurance company so that if the building gets damaged, the insurance company will either repair the building or pay the cost of repairs. By insisting that customers sign these “building contracts” and then trying to duck the bullet when the repairs are botched, insurance companies are shirking their responsibilities under the insurance contract. This needs to stop. Insurance companies need to stand up and accept responsibility where things have gone wrong. They are welcome to sue whoever they like to recover their costs. But that is not their customer’s problem. The new Government has made many promises about helping the people of Christchurch with their claims. There needs to be Government intervention to stop the industry from these attempts by the insurance industry to resile from their obligations and pass the buck to those who simply did what they were told to do. Unfortunately all the dire predictions are starting to become reality. In this scenario it would seem though that if the insured had sought the advice of of their solicitor before signing the builders contract, more than likely this particular trap would have been avoided. The question to ask though, was this a deliberate tactic the Insurers forced on their unsuspecting and pressured clients to provide themselves, ie the Insurers, with an all too likely escape hatch for the future? And now we have the emergence of dud repairs all over Canterbury. Again the Insurers can quite legally say not our problem, pre-existing or bad workmanship is not covered. And so in the unhappy event of another major EQ, if that dud repair fails and causes the house to collapse, no cover again for the same reason. How can this travesty have been allowed to happen in a democratically elected nation which has a parliamentary act in place to precisely prevent it happening? This was a very deliberate tactic by IAG. Early on they and Hawkins their PMO were called out on it, with scenarios like this one being pointed to as an inevitable consequence of the insurer not being party to the rebuild or repair contract. AMI / SR did not play as dirty, the contract was between three parties, the homeowner, the builder, and the insurer. Where a builder failed during a repair or rebuild the insurer continued the process with another builder. I saw that. That's very damaging for a brand. Expect more share price drops as the hidden problems keeps emerging. People in Christchurch have been familiar with being "Fletchered" since at least 2012. It would seem that in such situations the insurance companies are double protecting themselves to the best possible deal at the expense of their customer. Firstly, the insurance company has their choice of builders. Lets not be naive to think that in such choices, "cheap" doesn't have a greater weighting than "quality". Secondly, they are then are not taking responsibility for lack of "quality" having passed this onto the insured. Insurance companies expect honesty and integrity from their customers but are not displaying it themselves. What we have all seen since the earthquakes are insurers using all means to dodge their responsibilities. Now with new policies not only do they try and avoid risk rather that mitigate it, but they constantly raise their premiums and seek to limit what they will pay out. They make me sick. The industry needs a new business model and legislation to stop these charlatans being able to treat customers as fools.